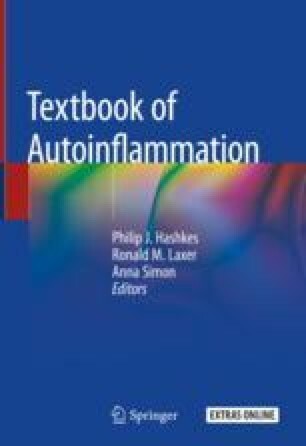 Interleukin-(IL)-1α and IL-1β are highly active proinflammatory cytokines which lower pain thresholds and damage tissues. Monotherapy blocking IL-1 in hereditary autoinflammatory syndromes results in a rapid and sustained reduction in disease severity. But blocking IL-1 activity is also effective in treating common conditions such as gout and post-myocardial infarction heart failure. Targeting IL-1 in a broad spectrum of new indications is ongoing. There are several trials of IL-1 inhibition in cancer. Initially believed to be contraindicated, targeting IL-1 in cancer has expanded greatly. Anti-IL-1α has been used to treat patients with metastatic lung and colorectal cancers, advanced pancreatic cancer, human epidermal growth factor receptor 2 (HER2) negative breast cancer and with smoldering myeloma. A placebo controlled randomized trial of canakinumab in over 10,000 subjects revealed a marked decrease in the incidence and survival of patients with lung cancer. In each of these cancers, a role for IL-1 mediated autoinflammation is a fundamental mechanism of action. This work was supported in part by NIH Grant AI-15614, the Colorado Cancer Center and National Cancer Institute Grant P30CA046934. The author thanks Dr. Giulio Cavalli for his help with the sections on osteoarthritis and heart disease.